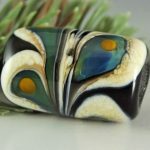 Looking for Big Hole Beads? 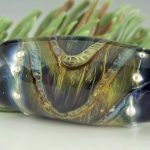 Fabulous pulled plum and grasshopper green focal tube is 0.73″L x 0.49″ 0.21″ hole. 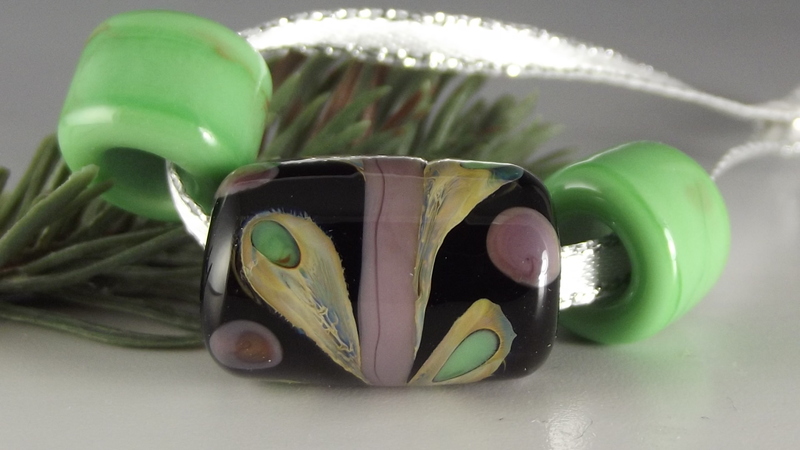 3 bead set includes 2 blushing green squared sidekicks! 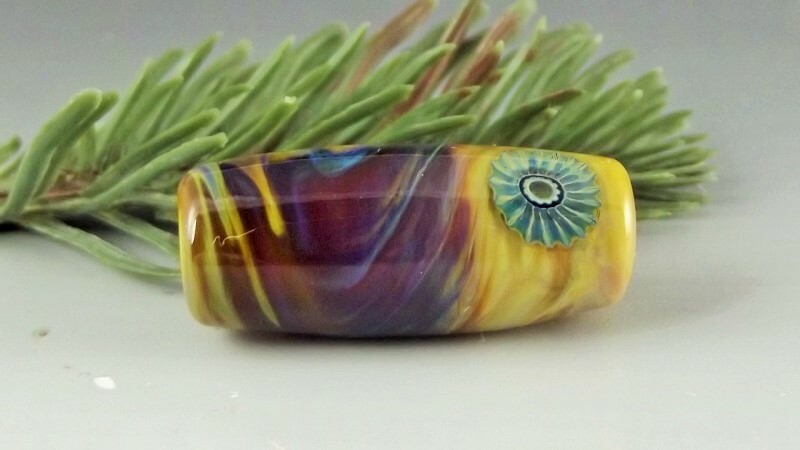 Crazy cool yipey stripes swirl around this nifty big hole bead, accented with silver glass murrini and 3D bumps! 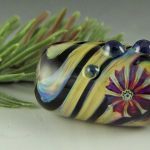 Bead is 0.81″L x 0.52″W x 0.21″ hole. Rainbows and unicorns and murrini oh my! Ok, no unicorns, but dayam, look at all them purty colors! And I think those murrini are winking atcha! 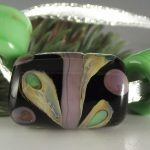 Fabulous big hole bead is 0.98″L x 0.42″W x 0.21″ hole. 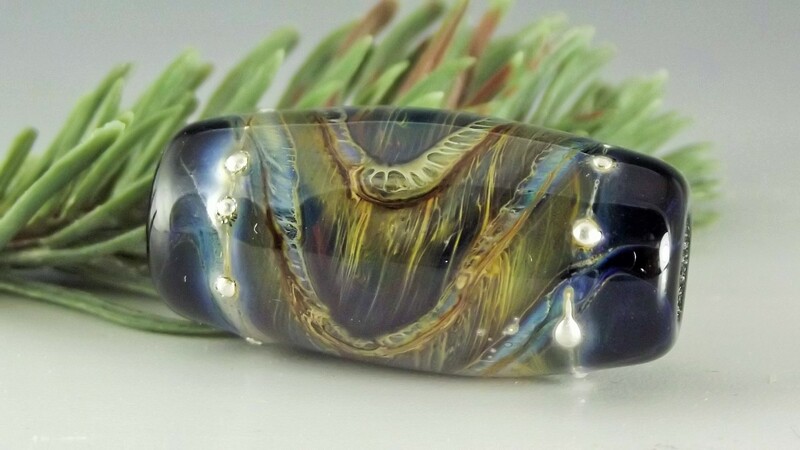 Fine silver wire hugs each end of this amazing gravity worked big hole bead! Focal is 1.06″L x 0.51″W x 0.21″ hole. 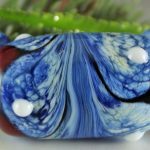 Delicious tube big hole bead is 1.02″L x 0.50″W x 0.22″ hole. 3 bead set includes 2 yummy matching donuts! 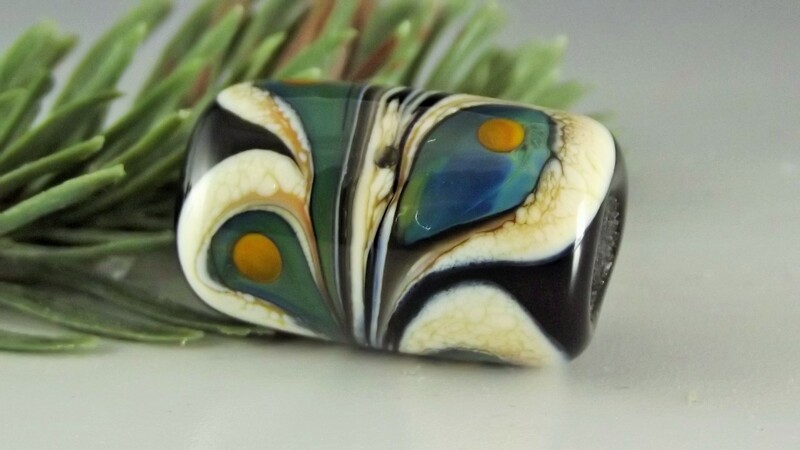 Black based tube big hole bead has tiny pops of yellow on each “wing”! Focal is 0.77″L x 0.48″W x 0.21″ hole. Delish! 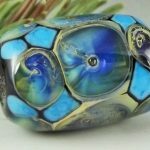 Lush rich bright and happy silver glass plays extra nice with turquoise for a tropical vacation in a bead! Focal is 0.80″L x 0.56″W x 0.21″ hole. Organic denim, pops of red and 3D dots make this tube big hole bead rock! Focal is 0.77″L x 0.48″W x 0.21″ hole. 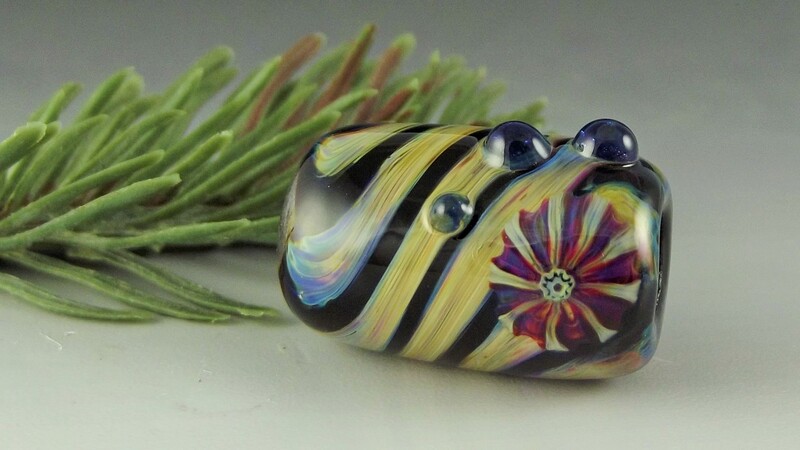 3 bead set includes 2 squared matching sidekicks! 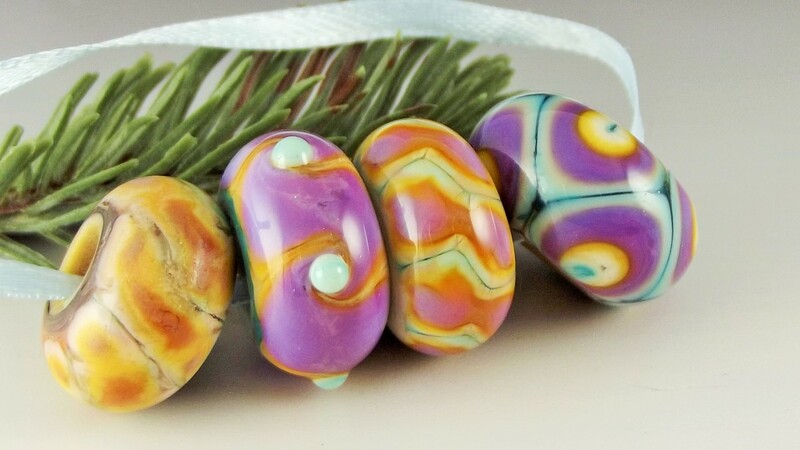 Delightful colors remind me of how a fairy would decorate her house–lots of happy colors and textures! 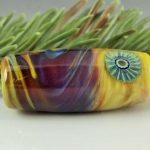 Four bead set mixes and matches and more, oh my! 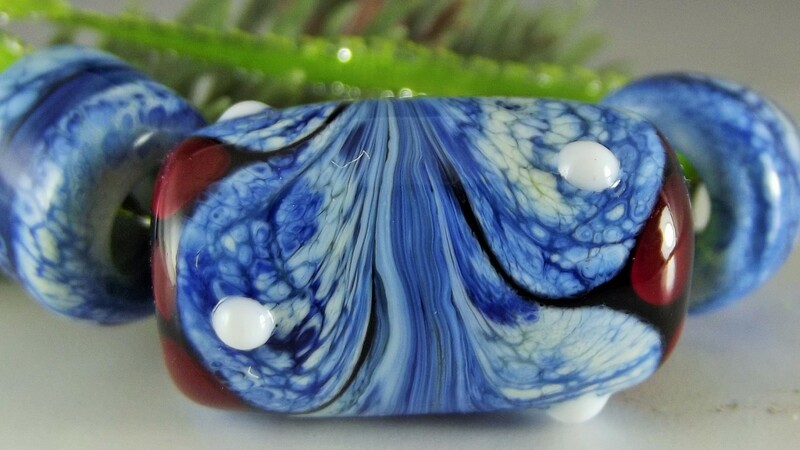 All 4 beads have 0.21″ holes. Lush hot pink glass has been spotted and dotted with layers of under and over bubble dots! 3D Focal is 0.48″L x 0.77″W. Seriously pink whiteheart sidekicks add punch! 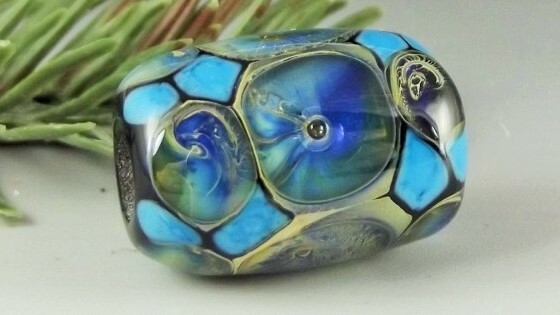 All 3 beads have 0.21″ holes. 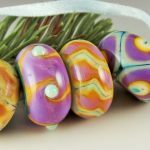 Want more beautiful Big Hole Beads?